We think our school is pretty special. The first Spanish dual language preschool on the Upper West Side of Manhattan, and one of the first in NYC, La Escuelita has the experience and knowledge to fulfill its mission: the support of bilingualism in children from birth to 3rd grade. Our belief is that once you’ve read our website and visited the school, you’ll wholeheartedly agree. Bilingualism. The only thing more amazing than watching your child progress from babbling to single words to full sentences is watching him/her do it in two languages. Using research-based practices, La Escuelita immerses children in a rich and engaging linguistic environment, fostering the development of bilingualism and biliteracy in students from all language backgrounds. The results speak for themselves, with huge benefits for all types of families: Spanish-speaking families looking for balanced growth in both Spanish and English, bilingual families seeking to preserve a heritage language, and English-speaking families desiring the incredible cognitive and cultural benefits of being bilingual. Play-based learning. La Escuelita’s developmentally appropriate curriculum is apparent to parents every day. They hear about it from their children, in daily stories about the new dance they learned, the strange substance they stuck their hands into at the sensory table, the intricate block city they built that day. They hear about it from teachers, who personalize their interactions and create an environment where exploration and play drive learning. Most importantly, they see it every morning as their children bound into the classroom with a smile. Diversity. 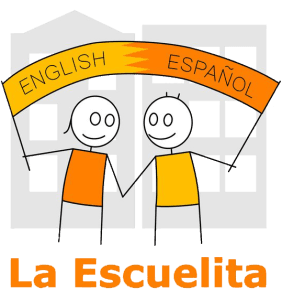 La Escuelita has an unshakable commitment to welcoming families of diverse backgrounds. This not only fosters a warm and open environment, but also promotes authentic and valuable learning opportunities. Educationally, our team of teachers comes from a wide variety of Spanish-speaking backgrounds. By providing models of at least two different dialects in each classroom, we expose our students to the full range of cultural and linguistic variety in the Spanish-speaking world. In addition, each member of our community brings a unique experience and perspective, positively embraced by both children and their families. Joining the La Escuelita community means embracing the challenges and growth opportunities that result from being immersed in a diverse environment. La Escuelita offers a unique preschool experience to families who value bilingualism and play-based learning, while being engaged in a diverse and stimulating community. We encourage you to visit the school to see for yourself the wonderful opportunities that are created each and every day that reflect La Escuelita’s defining three core values. Children in dual language programs (also known as “Two-way Immersion Programs”) gain well-developed language and emergent literacy skills in two languages, as well as the ability to navigate cross-cultural values and competencies. Children develop languages easily in the preschool setting. Spanish and English-dominant children develop listening and speaking abilities in both languages over time by participating in activities that develop budding literacy capabilities. Young children have the ability to mimic the intonation and pronunciation of native speakers, and possess a natural openness to engaging in a new language. Dual language bilingual programs work well for children of all linguistic backgrounds. Dual language programs give all children the opportunity to engage in curricula and maintain and develop oral and emergent literacy skills in their home language or both languages they are simultaneously acquiring. Children who are learning in more than one language demonstrate cognitive advantages that include divergent thinking, creativity, flexibility, and problem solving abilities. They perform well in critical thinking and problem-solving activities. All children benefit from positive cross-cultural attitudes and behaviors. Because dual language classrooms bring together children, teachers, and families from diverse language, racial, ethnic, and socioeconomic backgrounds, they allow children to learn about cultures that are different from their own. There is much research evidence of positive cross-cultural attitudes being developed through dual language programs (Cazabon, Lambert, & Hall, 1993; Freeman, 1998). Our 90:10 model refers to the amount of instructional time spent in Spanish in our preschool classrooms. Children who start preschool during their 2s or 2/3s year are immersed entirely in Spanish. The 3s, 3/4s and 4s classes spend 90% of class time in Spanish and 10% in English. Research shows that education primarily in Spanish does not undermine the development of English-language skills. It is a learning enhancer, not an inhibitor. The rich set of opportunities to acquire, learn, and develop Spanish language in preschool, however, does provide accelerated development of Spanish. Our 90:10 model has been consistently successful in fostering bilingualism in our students. Two children find two scooters in the hallway, one with a hook, the other without. They quickly assign themselves characters. The child with the scooter says “I’m a tow truck.” The other child says “Ok, pull me.” They investigate how to make the hook wrap around the scooter. They go back and forth debating the best way to make their ideas work. Suddenly one child says, “I know! We need a string!” Both run into the classroom and return with a string. Together they begin to connect the scooters as they negotiate how and where this string should go. Just then one of the children says, “I have an idea! I sit on the scooter and hold it and you pull me with the other scooter.” They agree and the towing fun begins. Play: such a simple word yet such a complex idea. You might ask yourself, what are the benefits to facilitating play? Why does La Escuelita push to maintain a play-based curriculum? Play is a child's natural state of being. Play is the way children discover and experiment, explore their world and rehearse their necessary skills. Play is important because children learn cognitive skills like math and problem solving. In physical play, they improve their gross motor skills while pulling, pushing, and balancing. Socially, children learn how to turn-take and to collaborate with one another. If you sit back and observe your child with a simple stick, that child will transform it into a rocket ship, a car, a baby. The possibilities are endless! Here in La Escuelita, the teachers take play very seriously and give it the value it deserves. 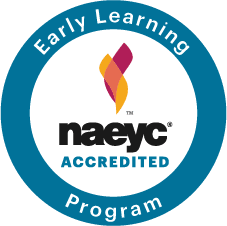 They continuously research best practices in accordance to NAEYC (National Association for the Education of Young Children). Together, the staff investigates and decides on key goals we want the children who enter the school to acquire. On a daily basis, if you walk our halls you could easily find two or more teachers discussing a material, a center, an activity or an idea they want to bring to life and the best way to accomplish their goals. You will also find the teachers discussing ways to engage a child or a group of children and help them become immersed in the play culture of La Escuelita. We know the importance of play and encourage all who enter our school to take a little time with their child and play. Parents receive a letter at the beginning of each theme, detailing the goals of the unit, songs and specific vocabulary that will be integrated, projects or field trips that will be incorporated, and any other supportive material. Weekly updates highlight special guests, Questions of the Day, and other more specific information. Previous themes have included Space, China, Dinosaurs, The Fall Season, and Restaurants, to name a few; some are old favorites that reappear every year or two, others are developed as interests and abilities are demonstrated. Each theme ends with an end-of-unit party. Parents and guests are invited into the classroom, as children sing songs or tell group stories, show off projects, and otherwise celebrate their learning about the theme. In the 2s program, children will have their initial exposure to a school environment. Here, the children will be immersed in a developmentally appropriate Spanish language classroom 100% of their time. They will have the chance to explore the world around them and create connections with other children in their age range. By the end of their first year, the children will have begun to communicate with their teachers in Spanish. They will experience initial stages of a group setting and how to engage in communal play. The children will be able to recognize and identify their friends and the special bond that begins at this age. As a parent, you will notice the beginning of independence in your child. Children will initiate self-feeding, personal hygiene, and play skills. In this classroom, children are exposed to a 90% Spanish and 10% English environment. The children will continue to practice their Spanish language skills with their teachers and begin initiating Spanish conversations with their peers. This is the year the children begin to create solid friendships and continue to exercise their social problem solving skills. During their play, you will see reenactments and trial and error of the concepts learned throughout the day and overall theme units. As a parent, you will notice your child becoming a more social individual and craving playdates outside of school. Children will begin to create and investigate the world around them with more sophisticated questions and ideologies. Children continue with the 90:10 Spanish to English model, and begin to perfect their Spanish language skills. Their vocabulary grows continuously and becomes more sophisticated when communicating with their teachers and their peers. The children’s play is more elaborate with rules, characters and story lines and can continue for various sessions. By now, the children can identify problems in their play and create solutions independently throughout their day. As a parent, you will notice the amount of knowledge your child has attained and eagerness to acquire more. By the end of this year, your child will feel proud of being bilingual and will demonstrate added self-confidence. When the time comes to say goodbye to La Escuelita, we know it can be difficult, both for parents and children. Teachers take great care in preparing the children for the next step, reading books on the subject, talking about older siblings who are now at elementary schools, and relating their own kindergarten experiences. The exmissions process begins with a general information meeting with Kelley Grant, our Executive Director. Held every spring, parents typically attend when their child is three. An overview of the kindergarten admissions process is presented, with both public and private schools discussed, and requirements and deadlines reviewed. Within the following few weeks, a one-on-one meeting is held to gain a better understanding of which schools the parents would most like to explore. Follow-up discussions are held as needed, typically every few weeks, as parents visit schools and receive tours, to further refine choices. In the last fifteen years, La Escuelita has had graduates attend a diverse array of kindergarten options. Most years, 60% of our graduates attend public schools, with the majority attending Upper West Side dual language programs. Other families choose gifted and talented programs or citywide schools, in addition to general education classes. Private schools are also well presented on our graduate list. With so many wonderful options to choose from, families appreciate Kelley’s help and guidance in narrowing down choices, discussing applications, and writing thoughtful parent essays. Our Executive Director also works closely with the teachers and our Educational Director to submit individualized school reports.